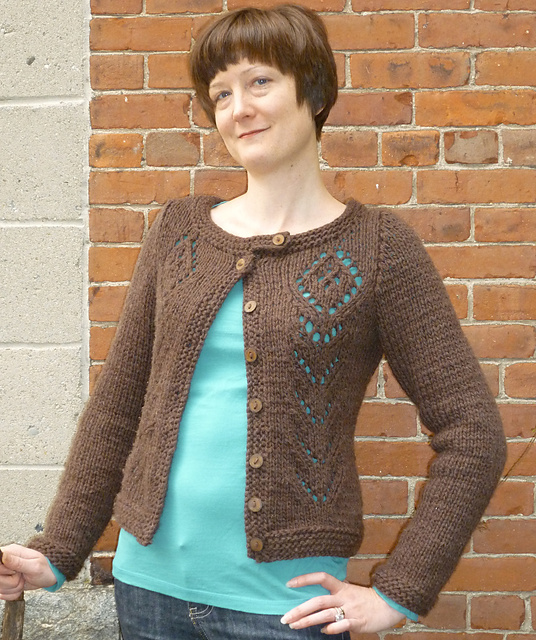 Quick, go to Ravelry and look for the Winged Knits Collection by Cecily Glowik MacDonald. She is giving 20% off her patterns if you enter SUMMER in the coupon code at checkout. I love her design aesthetic. I have several of her patterns and I’ve knit a couple. Her patterns are well written and easy to follow. I could easily come up with a wish list of patterns and yarn just based on her designs. In fact, I found no less than 4 short sleeve cardigans that would work for summer dresses. All are long enough to cover the tummy if that’s what you need (I do!). Or you can make them more cropped if that’s your style (not mine). Or take a long sleeve cardigan and convert it to a short sleeve. So stop reading my silly ramblings and go. Have Fun. Shop.